In the course of a busy day, it's easy to forget things -- a phone number, the time of an appointment, a colleague's name. And by the way, where are the house keys? While many of these small slips are certainly normal, new research suggests that all memory loss should be taken seriously, because it could indicate a person is at higher risk for developing Alzheimer's disease and related dementia later in life. The clues may start emerging as long as 12 years before diagnosis, the researchers found. The decade-long study, published in the journal Neurology, involved 531 people who were not diagnosed with dementia, who were evaluated annually. The researchers found patients who reported memory problems at some point during the 10 years were three times more likely to develop serious cognitive problems later on in life. Approximately 56 percent of the people in the study reported some changes to their memory by around the age of 82. About 1 in 6 people developed dementia in the time study was conducted, and 80 percent of them had reported serious changes to memory early on. "Our study adds strong evidence to the idea that memory complaints are common among older adults and are sometimes indicators of future memory and thinking problems, Richard J. Kryscio, professor at the University of Kentucky in Lexington and lead author on the study, said in a press release. "Doctors should not minimize these complaints and should take them seriously." Unfortunately, he noted, even if early warning signs are detected, there is little doctors can currently do to prevent or delay Alzheimer's. In the future, drug treatments may be developed to ward off dementia in people before they start showing symptoms, but such options are still years away. Dr. Eric Reiman, executive director of the Banner Alzheimer's Institute, who was not involved in the research, told CBS News this study "supports the idea that persons with a subjective report of memory decline have more amyloid pathology and greater rates of progression to the clinical stages of [Alzheimer's disease]." Amyloid plaques, found in the spaces between the brain's nerve cells, are one of the hallmarks of Alzheimer's disease and detecting them can often help doctors reach a diagnosis. "Many people worry about their memory as they get older, and it doesn't necessarily mean that they have or will soon develop disabling memory and thinking problems," he said. "It is important to note that many individuals with subjective memory concern did not progress to the clinical stages of Alzheimer's disease during their lifetime, an important consideration for persons who worry about their memory at older ages." Reiman says it's important to recognize the differences between absentmindedness and serious memory loss. Forgetting minute details of an event or facts over time, recalling details with a personal bias, or struggling to remember a word or name that's at the tip of your tongue are all normal slip-ups. However, the inability to recognize a familiar person or place can be cause for concern. 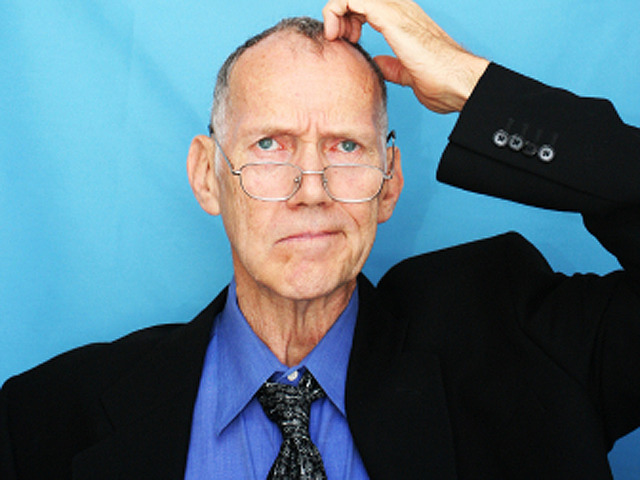 A large body of research indicates that at least some memory loss is a natural part of aging. One study on more than 7,000 patients, published in the British Medical Journal in 2012, found that beginning at around age 45 there were signs of memory decline in a majority of the group. There was a 3.6 percent decline in mental reasoning for both men and women aged 45 to 49. The decline was worse in older people: men ages 65 to 70 saw a 9.6 percent decline in cognitive abilities and women in that age group saw a 7.4 percent decline. Additionally, Reiman points out that memory loss can be an indication of a number of health conditions other than Alzheimer's disease, including chronic stress, depression and a side effect of certain medications. "An evaluation could help clarify the magnitude of a person's memory and thinking problems, address the possibility of potentially reversible contributions to the problem, and provide a foundation for further follow-up and care as needed," he said.